My friend Dustin Hillis is a Senior Partner with Southwestern Consulting™. You can find his blog online at DustinHillis.com. He posted this article and I thought it was just dynamite and worth sharing with my readers. Nothing has had a bigger impact on my business than improving my flow of referrals. I’m always blown away when sales people are not being more creative about developing their referral pipelines. His post will have some great ideas and verbiage for you if you struggle with this. Be sure to subscribe to Dustin’s newsletter for more great sales tips if you’re in the business. Do I believe in my product/service that I’m providing? Do I believe it is as good, if not better, than anybody else offering it in the market? Do I feel that I personally am as good, if not better, than anybody in my market at delivering this product/service? Hopefully, you’ve said yes to those two questions. 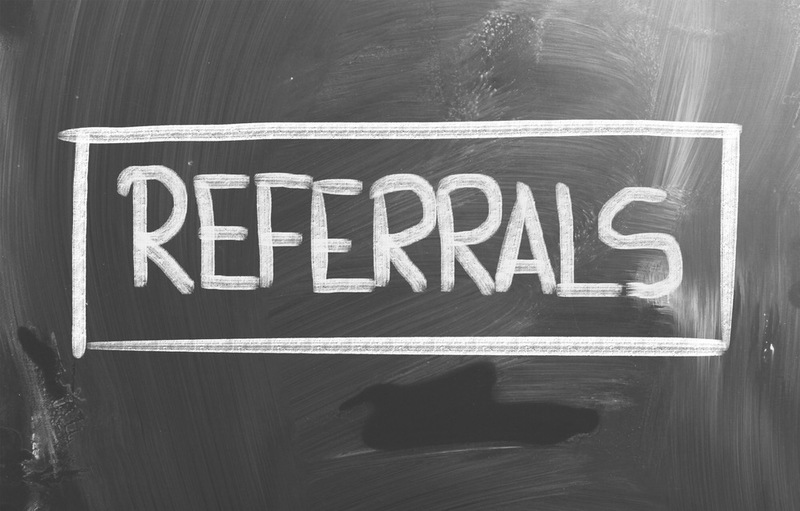 If you did, you should be dogmatic about getting referrals. The question isn’t whether or not their friends need your product/service, it’s who are they going to use. It’s probably someone not as good as you; so, therefore, it’s a disservice to not ask for the referrals. Have I convinced you and now you’re wondering how to ask for referrals? We have a 7-step process you can follow to ask for referrals. I’ve already blogged this process, so if you missed it, you can read that post here. Another option, though, is what I want to share today. There is a more powerful and easier shortcut that you can have and use to help you get referrals. It’s called the LinkedIn Referrals Technique. This is pretty advanced stuff… it might just blow your mind! Hopefully, they will agree. That is the easiest and most basic way for you to use the LinkedIn Referral Technique. What you’d do next is find their LinkedIn profile and click to view their connections. You do this by clicking on the number that specifies the number of connections they have. You can then scroll through those contacts, search by keyword, company name, or job title and make a list of those connections that you’d like referrals to. Then call or email your customer back and provide them with the list you created so they can connect you with them. That would be the most rudimentary, 101 level of LinkedIn. In Southwestern Consulting™ Co-Founder Rory Vaden’s product called Next Generation Marketing, he talks about the Hunt and Peck Technique. This technique is very efficient and it front-end loads the LinkedIn Technique we just discussed. Instead of locating a list of their LinkedIn connections you’d like to be referred to after your meeting, you would do that step before you meet with your customer. You don’t wait to get permission; you just go and do it. You would locate 10 people who they are connected to on LinkedIn that you know you’d like to meet or be referred to and you write those names down on a pad of paper. They will then most likely give you some information including who you should call and should not call as well as something we like to call pre-approach. What is the decision maker’s name? Is it their connection or someone else at the organization? Who do you need to talk to? If you were me, when would you call them? Tell me a little bit about him/her. What kind of person is he/she? Is he more extroverted? Is he straight-to-the-point? This is your buying behavior style question that will indicate to you their NAVIGATE style. The next option is to go into LinkedIn and click on the button located next to the search bar that says “advanced”. It’s amazing how you can comb through all of your connections as well as others. You can search for and locate all of the people who have listed their title as “President”, “CEO”, “HR Director” and so on. Then sort it by a radius around your zip code. We call this search the Simple Sweep because it allows you to sweep through their contacts and narrow it down to just those few you’d like to be connected with. This will save you a lot of time, especially if they have thousands of LinkedIn connections. Do you use LinkedIn to generate referrals from your customers? This is an example of what our Southwestern Consulting™ Certified Coaches would teach you in your Top Producer’s Edge coaching program.